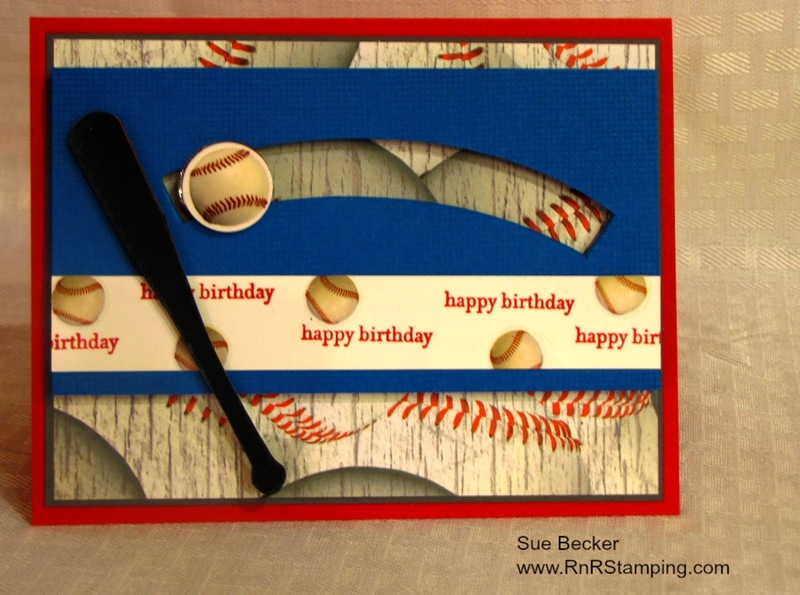 RnR Stamping: Happy Birthday to a special boy! Today marks one year since my great nephew Jaxon, arrived into this world. There was quite a celebration today in Louisiana and those of us here in cold Wisconsin were certainly there in spirit. Here's our big boy! 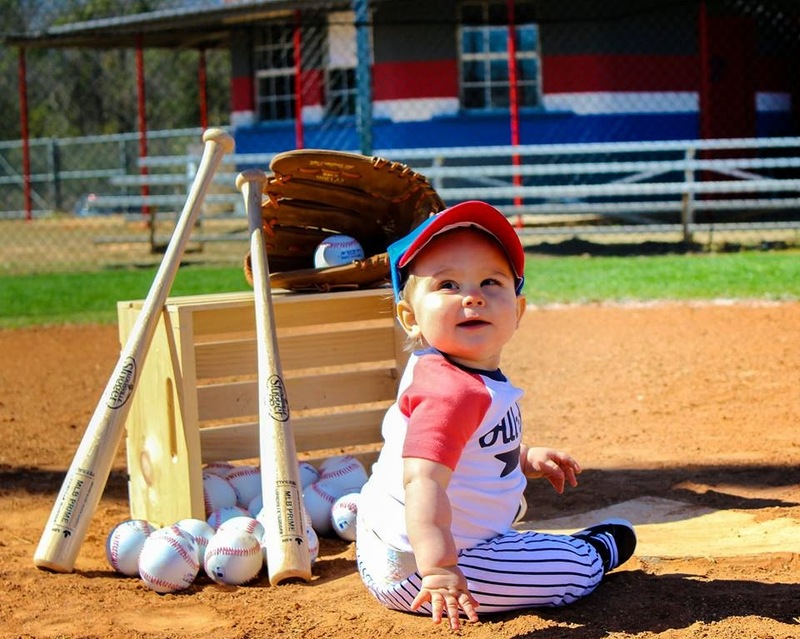 His daddy played baseball in college and is determined to make a left handed pitcher out of this little guy. Fyi, Jax appears to be right hand dominant:) A baseball theme was deemed the winner for this shindig! Anyone head over heals in love with a baby knows that a smile like this one just melts your heart! So, keeping with the theme and stepping outside the SU! border, this is the card I sent to celebrate. 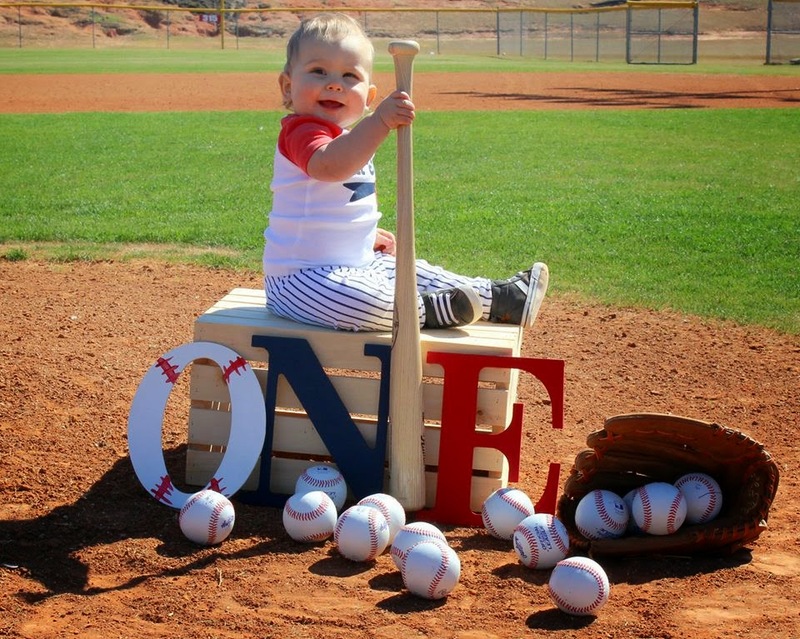 The inside read, "Hoping your first birthday is better than the winning grand slam in the bottom of the 9th!" It had been awhile since I made a spinner card, but I couldn't pass this up and figured Jax could have some fun playing with it. TIP: If you've never made one, the secret is 2 pennies and dimensionals! Thanks for indulging me on Jax's big ONE. I've been a busy stamper, so be sure to stop back this week for more ideas and updates. Don't want to miss anything? In the column on the right, you can enter your email address to have my post delivered to your mailbox. Take the click! Thanks for stopping. Hoping your day is a great one.